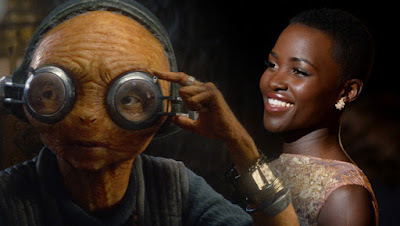 Maz Kanata actor Lupita Nyong'o appeared at the Toronto International Film Festival this weekend, where she was promoting her role in the upcoming film Queen of Katwe (which also stars Star Wars Rebels voice actor David Oyelowo). The topic of Star Wars Episode VIII came up when she spoke with Collider and she revealed that she had yet to shoot her scenes for the film, despite the fact that principle photography has already wrapped. When asked about working with director Rian Johnson, Nyong'o said, "Rian! I haven’t worked with him yet; I’ve yet to shoot. That’s in my future." Little is known about Maz's role in Episode VIII. 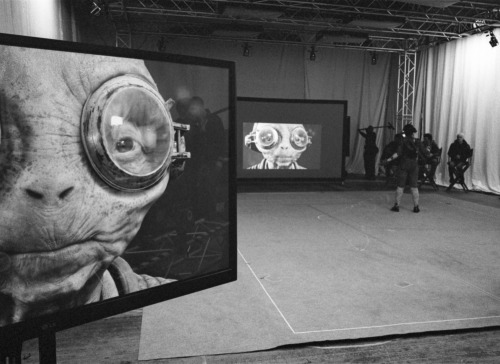 We know from behind the scenes material that more scenes with Maz were shot for The Force Awakens (specifically involving her using the Force and her at the Resistance base) but those ended up on the cutting room floor. Hopefully some of those ideas will be revisited in the Episode VIII. I'm not a fan of this character at all.